​Pastor Joel Folkemer serves Union Evangelical Lutheran Church with a special focus of working with the people of Union, community leaders, organizations, and it's neighbors to grow in our faith, reach new people, and love our neighbors as ourselves. Pastor Folkemer is a graduate of Shippensburg University where he received a Bachelors of Arts in Human Communication Studies. 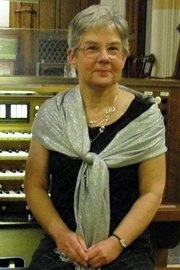 A 2011 graduate of The Lutheran Theological Seminary in Gettysburg, Pastor Folkemer served for three years, prior to his call to Union Lutheran Church, as the pastor of Trinity Evangelical Lutheran Church in Mechanicsburg, PA.
Pastor Judith A. McKee now serves Union Evangelical Lutheran Church as the Pastor for Congregational Care. She is a graduate of Thiel College and the Lutheran Theological Seminary at Gettysburg. She previously served as a Co-pastor of Grace Lutheran Church in York for 27 years and as an Assistant to the Bishop of the Lower Susquehanna Synod of the ELCA for six years. As Assistant to the Bishop, one of her treasured responsibilities included serving as liaison between the synod and the Konde Diocese of the Evangelical Lutheran Church of Tanzania. Currently she serves on the advisory council of the Lehman Center, and on the board of the Pregnancy and Family Resource Center. She is married to the Rev. Thomas E. McKee, Secretary of the Lower Susquehanna Synod. Their immediate family includes two adult children, Michael and Sarah, and their spouses, Kristen and Nick, and two grandchildren, Micah and Kennedy. ​Vicar Carla Christopher is a Seminary Intern, studying at United Lutheran Seminary. She is also the Director of Children, Youth, and Family Ministries at Union Lutheran Church. She is responsible for developing faith formation and community outreach activities that engage young people and enrich their family relationships and community connections. Her ministry focus is helping the church be a relevant and engaging resource for young Christians and diverse community leaders of tomorrow. In addition to her #YouthInUnion ministry, Carla is a pastoral student, a community organizer, and a diversity trainer, specializing in racial justice and LGBTQA issues. She studied Psychology, Education, and Creative Writing at Columbia University and currently lives in the heart of York City with her family. Matthew Wensel is the Director of Music Ministries at Union Lutheran Church. He is responsible for leading music in worship and coordinating the music ministries of the church. He is also an active member of the children's ministry team. His ministry focus is using music as a tool for mission and outreach. In addition to his ministry at Union, Matthew is a music teacher in the Conewago Valley School District in New Oxford, PA. He holds several degrees from Lebanon Valley College: Bachelor of Science in Music Education, Bachelor of Arts in Music (organ concentration), and Master of Music Education. Matthew lives in York with his wife Amy and his daughters Sophie and Madeline. Bob has served on Church Council, sings bass with the Transept Choir and is an Assisting Minister, serves on the Property, Christian Education and Fellowship Committees. 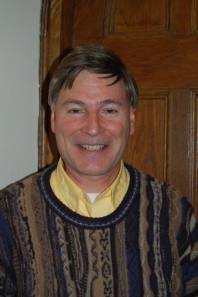 He and his wife Terri share a home in Dover, PA.
Michael serves on Property Committee.